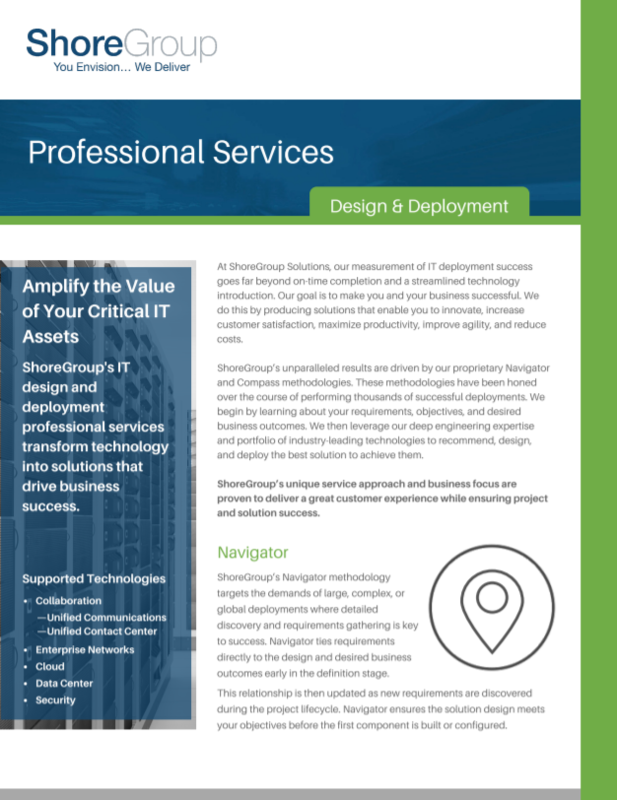 At ShoreGroup Solutions, our measurement of IT deployment success goes far beyond on-time completion and a streamlined technology introduction. Our goal is to make you and your business successful. We do this by producing solutions that enable you to innovate, raise customer service and satisfaction, maximize productivity, improve agility, and reduce costs. ShoreGroup’s unparalleled results are driven by proprietary methodologies honed from performing thousands of successful deployments. We begin by learning about your requirements, objectives, and desired business outcomes. We then leverage our deep engineering expertise and portfolio of industry-leading technologies to recommend, design, and deploy the best solution to achieve them. ShoreGroup’s unique service approach and business focus are proven to deliver a great customer experience while guaranteeing project and solution success. ShoreGroup’s Navigator methodology targets the demands of large, complex, or global deployments where detailed discovery and requirements gathering is key to the success of the overall implementation. Navigator ties requirements directly to the design and desired business outcomes early in the definition stage. This relationship is then updated as new requirements are discovered during the project lifecycle. Navigator ensures that the overall solution design meets your objectives before the first component is built or configured. ShoreGroup’s Compass methodology is optimized for agile or rapid implementation of new technologies, or to support the expansion of existing technology solutions for your business. It is ideally suited for point projects like a wireless LAN or a unified communications rollout for a single building or campus. Compass takes an iterative approach to the design process by combining discovery and requirements gathering with solution design. With a strong vision of the desired end state and business outcomes, solution design is optimized, and activities accelerate during the build process for faster completion with less risk. This ensures that the project meets your requirements while being delivered on time and within budget. ShoreGroup has been wonderful to work with. They asked what is going to make a difference for you and your patients. By asking and taking the time to understand, they were able to present solutions. 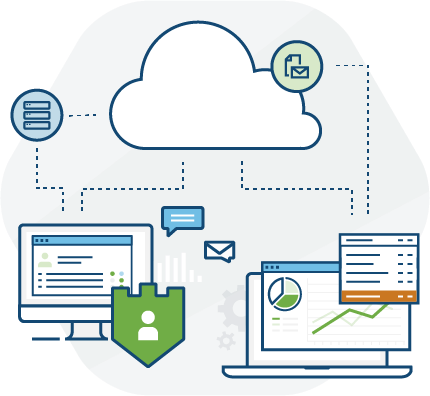 ShoreGroup’s design and deployment services deliver high-value results leveraging our experience and unparalleled expertise in cloud, collaboration, contact center, network, data center, and security solutions. 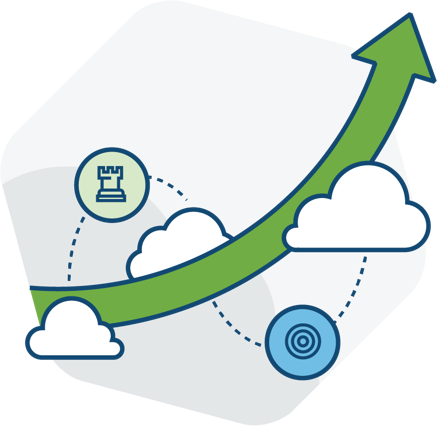 Our ability to deliver solutions that drive customer success has been proven across thousands of customer engagements. Are you ready to deliver a great customer experience? Let's get started.